There are some things that you should never pay for, or at least pay less; all it takes is the know-how to find alternatives. We’ve put together a few ideas on what to avoid to ensure your euros stay in your pocket. Why pay for a gym when you have the great outdoors? When contemplating whether to sign-up for a year’s gym membership, take a few hours first to investigate your surroundings. Although Spain’s traffic is not very tolerant of cyclists, many towns are trying to help out by introducing bike rentals and bike lanes. Cities are also doing this – take a look at Malaga, Madrid or Valencia where the first 30 minutes are free (or cost cents). Local parks often include not only children’s play areas but also installations for adults to carry out different types of exercise. Or why not set up a local running or walking club with friends and neighbours? And don’t forget the climate – who wants to be inside on a treadmill when the sun is shining? If you search on the Internet you’ll find in almost equal numbers those for and those against using extra virgin olive oil for frying (based on what’s called the smoke point). It’s more cost effective to use refined olive oil for frying, save extra virgin oil for salads (or just to drizzle on bread – heaven!). For more info, here’s a ranking of the world’s best olive oils. Whether via your landline or mobile, many packages for international calls from Spain are not worth the cost when Skype and WhatsApp offer free calls. To use WhatsApp make sure that you have the latest version of the app installed and avoid any similar sounding apps that are just scams for premium rate SMS. When you’ve installed WhatsApp you’ll see Calls, Chats, Contacts at the top of the screen. Make sure you call when using WiFi, as you can soon use up the MB of your data package. Stop using the same bank you’ve been using for years and shop around. There are lots of options to send money abroad that are safe and cheap – take a look at our post. Unless you’re forced by your bank to have a credit card that comes with an annual charge (for example, if it’s tied into your mortgage rate) then cancel it right now and get a free one. 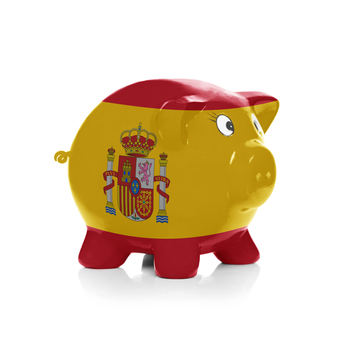 Take a look at our info on free credit cards available in Spain, some even come with extra perks too. When was the last time you checked your current account to see just how much you’re paying every quarter in charges? You might be surprised at the answer. Unless you’re really getting top service and, let’s face it, who is these days, then it’s time to change bank.